Grain pigskin leather driver glove. 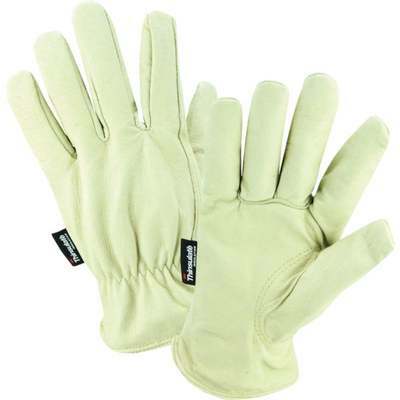 Features 100 gram Thinsulate lining, shirred elastic wrist, and keystone thumb. Gunn cut.